A man who describes himself as a “very ordinary Ningbo businessman”, Shen Gujon enjoys taking risks to achieve success in business. 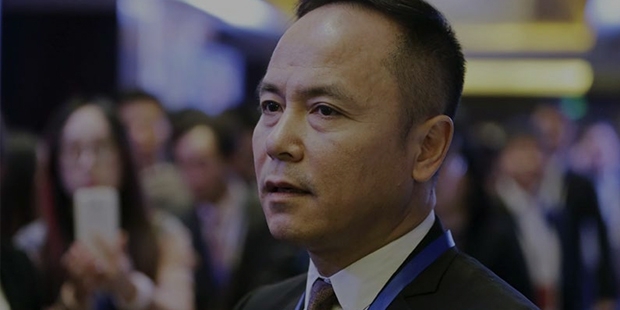 One of the most influential Chinese personalities, Shen’s asset is of worth $3.1 billion and he ranks at position 670th in the list of World Billionaires according to Forbes in 2015. A break from his Group and clients, Shen loves reading and travelling. He sometimes feels that travelling is far more important that reading as every new trip has the potential to freshen up mind and rejuvenate the soul. A very social person, Shen enjoys making friends. He believes that reading a person is interesting that reading a book as one can get to learn a lot of things from his/her knowledge, experience and skills. Shen Guojun currently resides with his wife in Beijing. Shen Guojun was born in 1962 in Ningbo City in the Zhejiang Province. He obtained his MA degree in Economics from Zhongnan University of Economics and Law in 1986. Soon after he finished his college education, he engaged himself for six years at the China Construction Bank. It didn’t take long for him to impress his senior in the bank who advanced him to the rank of GM of Hainan Yintai Real Estate, a company that was owned, in part, by the bank. 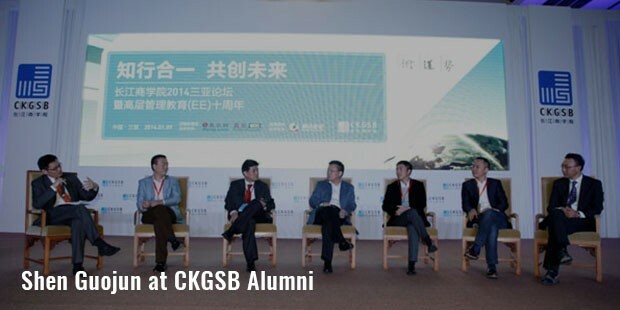 In 1997, Guojun entered into the real estate market by establishing the China Yintai Investment Company in Beijing. He spent 4 million CNY to set up Yintai Store Group Limited which came to be known as Intime Department Store (Group) Co. Limited. 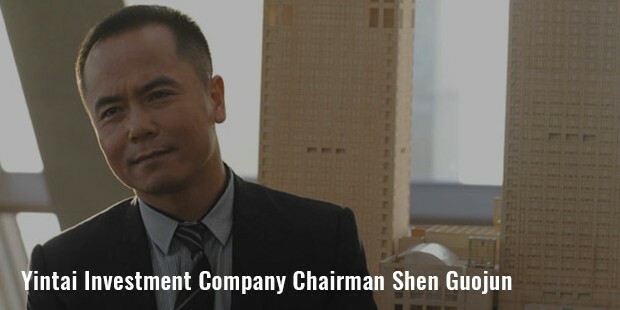 With Shen as the chairman, Intime Group expanded to cities like Shanghai, Dalian and Shenyang. By 2007, Shen was ready to try his skills in the international market. His group Intime Department got listed in the Hong Kong Stock Exchange holding the distinction of being the first domestic private group to be listed in the stock market. This achievement opened the international gates for Shen. When asked in an interview about his success mantra, Shen replied, “Successful Business is simply a matter of knowing when to take a chance”. Shen Guojun holds the reputation of being diligent, unobtrusive and honest. He believes in innovation, integrity, cooperation and hard work to achieve success in the competitive market. 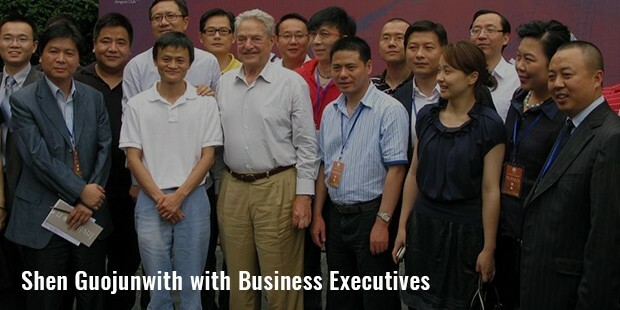 He had 22% stake in Wuhan Department Store, 15% stake in Baida Group in 2005. Having an amazing sense of growing market, Shen focused mainly on retail and property segment to make profit. It was observed that even during the recession period, China’s retail segment rose by 15% in 2009. In October 2007, Guojun was named the ‘Ernst and Young Entrepreneur of the Year’. He is also a member of Government Consultative Body, Chinese People’s Political Consultative Conference. Shen is now targeting the logistics industry with a joint venture with the Chinese E-Commerce giant, The Alibaba Group. He served as the first director of the China Charity Foundation. China’s Ministry of Civil Affairs acknowledges his noble contribution to rescue 5,000 patients suffering from congenial heart disease.